A charming and elegant 2 bedroom apartment conveniently situated steps away from world famous Harrods, Harvey Nichols, and all the Sloane Street and Brompton Road shops. Thirty year London home of Hollywood composer. Perfect for one or two couples exploring London, and overlooking Basil Street with a perfect mixture of comfort and elegance. The flat is located on the first floor of Lincoln House (in the UK this is one floor up) and is accessible via steps or elevator. The closest tube stop is Knightsbridge, and the flat is located midway between the Sloane Street entrance and the Harrods entrance. Kings Road is a ten minute walk at the end of Sloane Street. The building has two porters which are available to assist with deliveries. Bookings may begin on the afternoon of the departure date of a previous guest. However, if you have bags, you are welcome to drop them off earlier while the flat is being cleaned. The flat has a local phone, and also a US based phone with a New York (631) telephone number which can be used for unlimited free calls to and from the US. Access from Heathrow Airport couldn't be easier; take the tube directly to Knightsbridge on the Piccadilly Line, with no changes required. Takes about forty minutes. From Gatwick, the Gatwick Express leaves every fifteen minutes and is a short train ride to Victoria Station, which is fifteen minutes away by cab - Bonnie Cacavas. There is also a VOIP telephone with a New York telephone number for free calls to and from the US and Canada. Has blow heater for extra heat. 30mb fiber optic connection via either wireless or ethernet. In UK, first floor is one flight up, and there is a small elevator. Standard and also a Nespresso. Capsules are available at the Nespresso shop five minutes away on Brompton Road. The dining area seats six. Our stay in this lovely flat was made even more enjoyable by its location . . . Steps from harrods, taxis, Victoria and Albert as well as underground station. We would stay there again if we return. Perfect location that makes exploring London easy! Not only is the flat close to the Knightsbridge tube stop, but the owner is well organized and provides detailed instructions about the property. 🏆�Annual London trip -favorite flat! W❤️️W! We love this flat. It's in such high demand there are years we're blessed to secure it and other years we've missed out. Quiet is the most wonderful feature of the flat; we'd stay there every year if we could secure it. # lovely .. owner is fabulous. This flat is as advertised and is absolutely worth every 5 star review it receives. Bonnie and John are excellent, organized and responsive hosts and make the experience easy. The location is wonderful in the heart of the matter. The fact that you are literally a minute from the Knightsbridge tube stop makes getting anywhere in London simple, including a direct shot to Heathrow. We are a family of 3 with a 12 year old and stayed for 9 nights over the Christmas and New Years period. Of course this is a busy and bustling time, especially being so close to shopping areas, Harrods, etc. The flat provides a nice oasis in this area. We would recommend this flat with confidence to anyone. If you are looking for charm, comfort, and convenience, look no further. 11 Lincoln House has it all! The apartment is situated in a fashionable part of town. We found the interior bright, spacious, and beautifully appointed – a haven in London’s dreary November days. Everything in the apartment met our expectations, including the beds, bathrooms, and the kitchen. Whatever we needed for daily living (including Harrods Food Halls!) could be found within two minutes’ walk. Bus and subway stops were equally close. 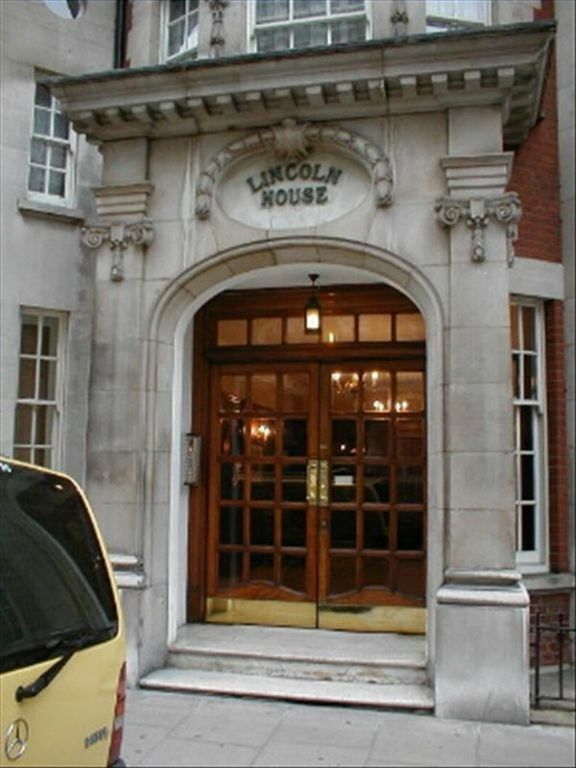 We had a memorable time in London, thanks partly to 11 Lincoln House. Hope to return there soon. Seven night minimum. For additional guests over 2, we charge an additional $30 for each guest to cover laundry.